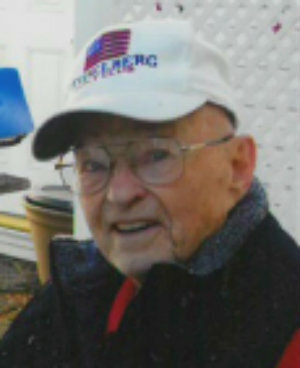 A Coeur d’Alene, Idaho native and World War II Veteran, Milton R. Stafford, passed away on Saturday, April 13, 2019, surrounded by his family at the Idaho State Veteran's Home in Lewiston, Idaho. Milt was born on Dec. 26, 1923, in the log cabin built by his grandfather, John Nettleton, who homesteaded Nettleton Gulch. How does one summarize the life of a man who lived and loved fiercely in a few short words? A man whose personality and laughter could fill a room when he walked in? Who took care of his community and its citizens because that was what you did? Whose work ethic was beyond reproach? He was our hero and taught his family by example. Milt was always in the surrounding forests of Coeur d’Alene and his love of the woods, hunting and fishing remained true to the end of his life. He could never see enough timber and always wanted to know what was on the other side of the next mountain. In his later years, dad would ask us to take him on a drive-about to check out timber. We were dad's sidekicks — riding shotgun in the woods, stream fishing and hiking the fields while bird hunting. Julie shot her first deer with dad at her side. She amazed him with such a good shot that he swore the deer died of fear before the bullet hit. In his last days, dad could still tell a good huntin' story. We asked him one night, "how many elk do you think you bagged, Dad?" Without hesitation, he said, “12 for sure and I know there were a few more." Milt's career in timber began at age 17, working at Atlas Tie Company, which later became Idaho Forest Industries. Milt was an athlete. His game was baseball. From high school ball to playing in the minors for Coeur d’Alene Lakesiders as catcher and first baseman, Milt remained in the game as a player, coach and fan. Dad could quote the stats for his beloved Detroit Tigers from the time he started playing high school baseball. We conference-called with dad and mom during the World Series, always cheering for his beloved American League team. Milt was also an accomplished golfer and bowler. He followed his uncle, Herb Nettleton, one of the founders of the Coeur d’Alene Public Golf Course, into the sport that afforded Dad many years of fun and winning competitions. Mom later joined him in the sport and together with their friends, "The Dirty Dozen" they golfed courses from here to Oregon and Canada. In 1942, Milt was drafted into the US Army. He served his country in battles in Africa, Sicily and Italy. Over the years, dad shared a story or two from his WWII scrapbook. He would bring many of the pictures to life in his stories. We now know that in actuality, many of those stories were of some of the good times Dad and his comrades etched out during the horrors of battle. The truth of the horrors came out in the last few months of dad's life as his mind retreated and the stories were at the forefront. There is a reason men and women from his era are called "The Greatest Generation." 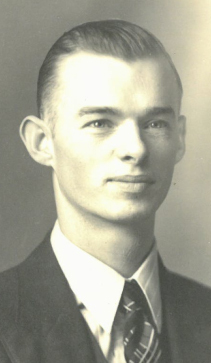 Milt was preceded in death by wife, Donna; his father and mother, Clyde and Hannah Stafford and his brother, Bill. Milt is survived by daughters, Lynn (Harry) Lauer and Julie (Chris) DeBarbrie; brother, Robert and sister, Betty (Jim) Glaspie; grandchildren, Brian (Lara) Lauer, Kirk (Angie) Lauer, Trevor (Misty) DeBarbrie and Silky (Ryan) Johnson; great-grandchildren, Chase (Rachel) Stoltey-Lauer, Mitchell Lauer and Shay DeBarbrie; great-great-granddaughter, Lucy Johnson and Everlee Stoltey-Lauer and step-great-grandsons, Wyatt and Tucker Gibbar. Also surviving Milt are his beloved nephews and nieces and dear friends. For the past two years, Milt lived at the Idaho State Veterans Home in Lewiston, Idaho. There are no words to justly express the gratitude we have for the staff and caregivers who loved and cared for Milt. In lieu of flowers, please consider a memorial donation to the Kootenai Humane Society. Dad always had a beloved dog at his side. Even in the war, he adopted a stray who stayed with him until his return stateside. Funeral services will be held on Saturday, April 20, 2019, at English Funeral Chapel in Coeur d'Alene, ID. A viewing will be held from 10-11 a.m. followed by funeral service at 11 a.m. Burial will be held at Forest Cemetery directly after the services.